Hide deals from seller "The UPS Store"
Hide deals from category "Printing & Copying Equipment & Services"
Limit 1 per person. Valid on 1 year of personal small mailbox rental. New clients only. Promotional value expires 365 days after purchase. 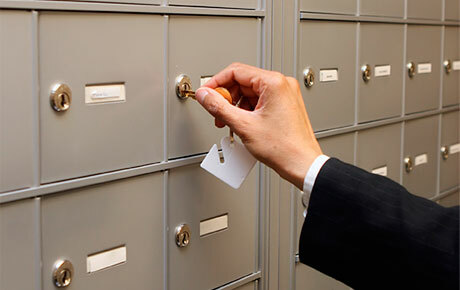 Keep in touch with 50% off a 1-year small mailbox rental from The UPS Store in Hoffman Estates ($165 value). This comprehensive shop offers printing, packaging and shipping services for a convenient way to stay organized. For 25 years, The UPS Store in Hoffman Estates has been providing excellent customer service and a wide range of products and services. The small mailbox rental includes 24-hour access so you can pick up your mail anytime. Rental also includes mail forwarding and holding as well as package and mail notification. Your private mailbox also uses the store's address as opposed to a P.O. Box number. Plus, The UPS Store accepts packages from all carriers, so you'll never miss a delivery. Ensure your mail is secure and accessible with this handy deal. A store in Hoffman Estates providing moving supplies, mailbox rental, printing services and more.